ZTE has introduced a number of compelling devices in the last couple of months, and judging by the new leaks, the company is going to release a couple more before the end of this year. Anyhow, ZTE has introduced their flagship Nubia Z9 line not long ago. The Nubia Z9, Z9 Max and Z9 Mini are all a part of this new line, and the first two devices are ZTE’s new high-end offerings. The Nubia Z9 was introduced at a separate event after the Z9 Max and Z9 Mini, which was to be expected considering this is ZTE’s new flagship handset. The Nubia Z9 is made out of metal and sports no bezel on the sides, only the metal frame which hold the device together. Speaking of the frame, you also get special functionality along with it, and ZTE calls it ‘Frame Interactive Technology’ or ‘FiT’ in short. We’ve seen bits and pieces of this tech in various leaks and at the event itself, but ZTE has now released a new video showcasing their new ‘Frame Interactive Technology’. If you check out the embedded video down below, you’ll see a short video clip showing various ‘FiT’ gestures you can use in order to complete certain tasks on the Nubia Z9. The video shows you can switch between apps, take a screenshot, manage your tasks… and so much more by using the side frame of this device. This tech actually seems rather useful, and according to a number of leaks, ZTE will let developers take advantage of it. The Nubia Z9 is a premium offering by the company, and it features a 5.2-inch 1080p (1920 x 1080) display along with 3 or 4GB of RAM, depending on the version you get. ZTE has actually released 3 version of the device, Exclusive, Elite and Classic editions. The Classic edition ships with 3GB of RAM and 32GB of internal storage, while the other two variants come with 4GB of RAM and 64GB of in-built storage. The Snapdragon 810 64-bit octa-core processor fuels this thing, and a 16-megapixel OIS camera is located on the back of the Nubia Z9. Android 5.0.2 Lollipop comes pre-installed here with ZTE’s Nubia UI 3.0 on top of it. The device is still not available for purchase, but it will be soon. 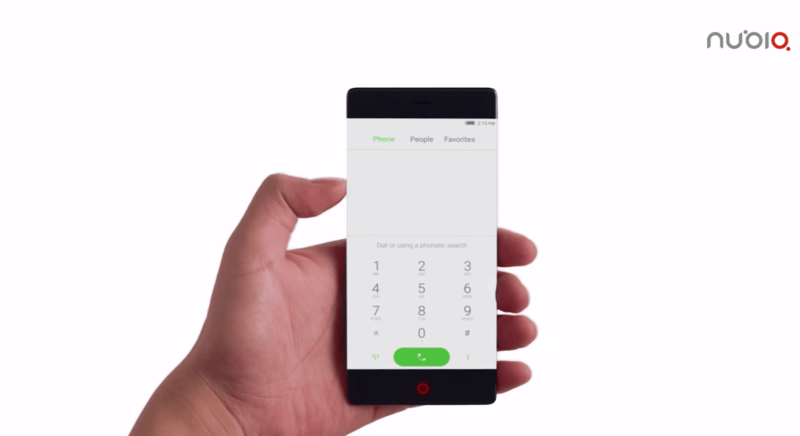 The post ZTE Shows Off Nubia Z9’s ‘Frame Interactive Technology’ appeared first on AndroidHeadlines.com |.